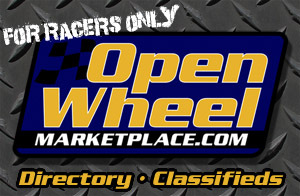 The Infinity Shocks Non-Wing 410 Power Rankings Battle! 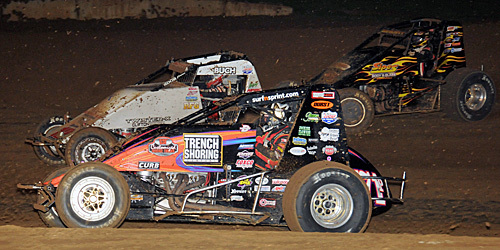 Lonnie Wheatley, TULSA, Okla. (September 22, 2015) – The battle for the top spot in Infinity Shocks Non-Wing 410 Sprint Car Power Rankings annually comes down to the wire. And this year appears to be no exception, with Robert Ballou and Dave Darland sparring for the top spot. 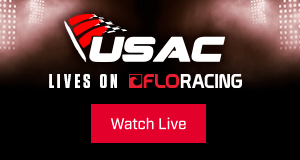 Picking up his 14th overall win of the year with a USAC score at Terre Haute on Friday, Robert Ballou holds a 17-point edge as he vies for the top Power Rankings position for the second year in a row. But, Kokomo Sprint Smackdown champ Darland is keeping pace, knocking 23 points off of Ballou’s lead in recent weeks to close to within 17 points. While the lead duo of Ballou and Darland have put a couple of hundred points between themselves and the pack, the battle for position in their wake is just as intense with Kevin Thomas, Jr., holding down the third position just ahead of Jon Stanbrough and Brady Short. Thomas, Jr., is just 16 points ahead of Stanbrough, with Short just one more point back. The biggest mover in recent weeks is Ryan Bernal, with a meteoric rise from 138th to 33rd after taking top USAC/CRA California Sprint Week honors. 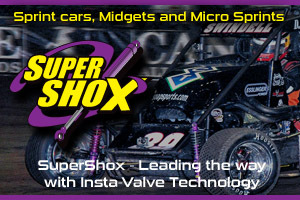 Infinity Shocks is dedicated to meeting your shock needs for all variety of Sprint Car, Midget and Micro Sprint racing. Keep track of Infinity Shocks via the Facebook page at https://www.facebook.com/infinity.shocks.